School-aged children from the Nye County area are readying to put months of work in the area of robotics, programming and other related fields on display in Pahrump during the 2nd Annual FIRST (For Inspiration and Recognition of Science and Technology) Coalition Robotics Gala. 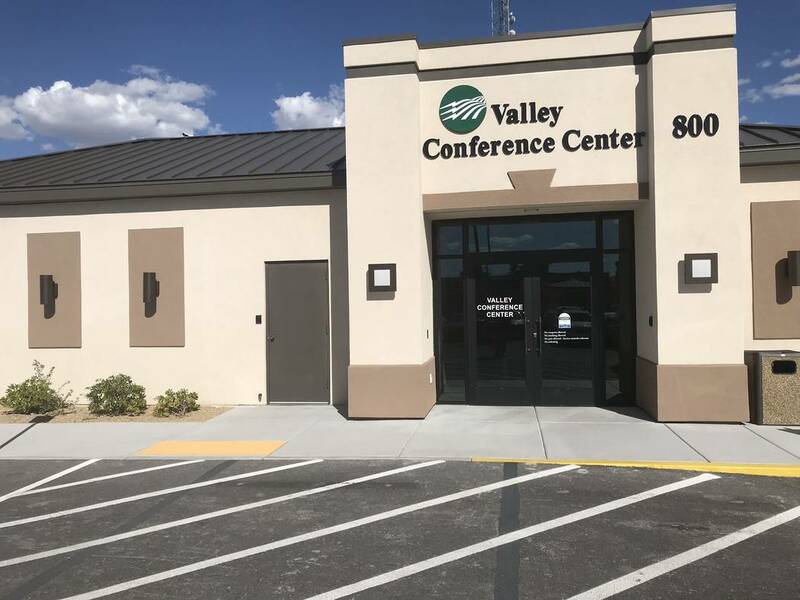 Jeffrey Meehan/Pahrump Valley Times The 2nd Annual FIRST (For Inspiration and Recognition of Science and Technology) Coalition Robotics Gala is planned for 5:30 p.m.-8:30 p.m. on Thursday at the Valley Electric Association's conference center at 800 E. Highway 372. 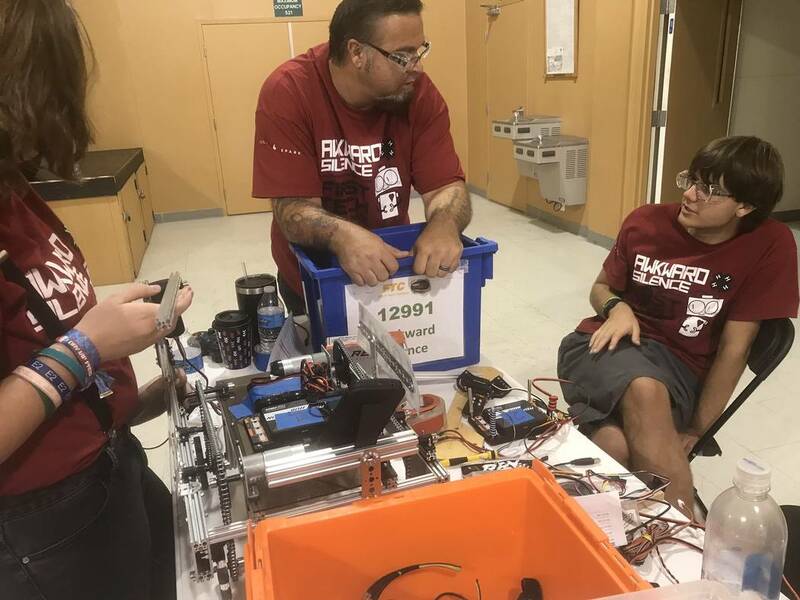 The event, sponsored by Pahrump Southern Nye County 4-H, is set to bring out school-aged children to show off their efforts in robotics, programming and raise money for teams in the Pahrump area. Jeffrey Meehan/Pahrump Valley Times Kaylee Osborne (left) stands next to Elise Wilkinson (right) at the NyE Communities building on Nov. 3, 2018 during a meet-play event for the FIRST (For Inspiration and Recognition of Science and Technology) Tech Challenge (FTC). Both are on a team made up of all girls known as The Valkyries, which is under the Pahrump Southern Nye County 4-H.
Jeffrey Meehan/Pahrump Valley Times Robots make the rounds during a meet-play event for the FIRST (For Inspiration and Recognition of Science and Technology) Tech Challenge (FTC) program's 2018-2019 season at NyE Communities Coalition building on Nov. 3. Teams from across the state will compete in a competition in February. Jeffrey Meehan/Pahrump Valley Times FIRST (For Inspiration and Recognition of Science and Technology) Tech Challenge (FTC) program 2018-2019 season got underway in Pahrump on Nov. 3, 2018 at the NyE Communities Coalition building as 1020 E. Wilson Road. Pahrump Southern Nye County 4-H's Awkward silence FTC team was one of eight other groups partaking in a meet-play event. Special to the Pahrump Valley Times The all-girls FIRST (For Inspiration and Recognition of Science and Technology) Tech Challenge (FTC) team The Valkyries. The team is being led by leaders of Pahrump Southern Nye County 4-H. The gala, hosted by Pahrump Southern Nye County 4-H, is set to occur from 5:30-8:30 p.m. on Jan. 17 at Valley Electric Association’s conference center at 800 E. Highway 372. 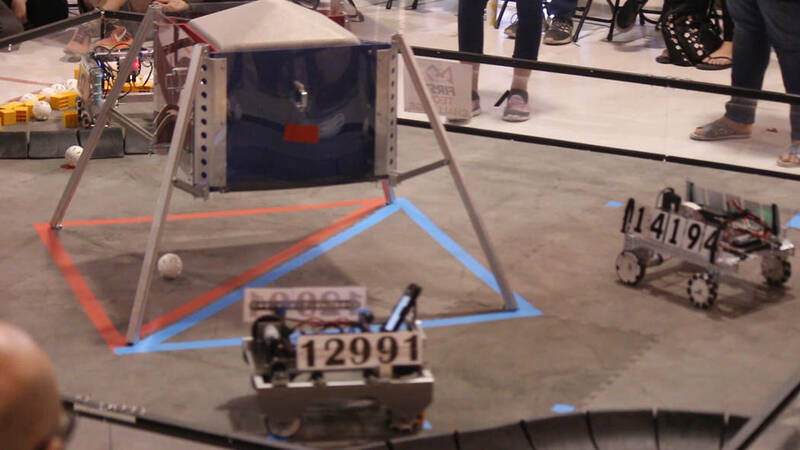 The event, a combination of fundraiser and demonstration, will encompass displays of working robots, a chance to meet local kids involved in the program and competitions and have some complementary food and refreshments. 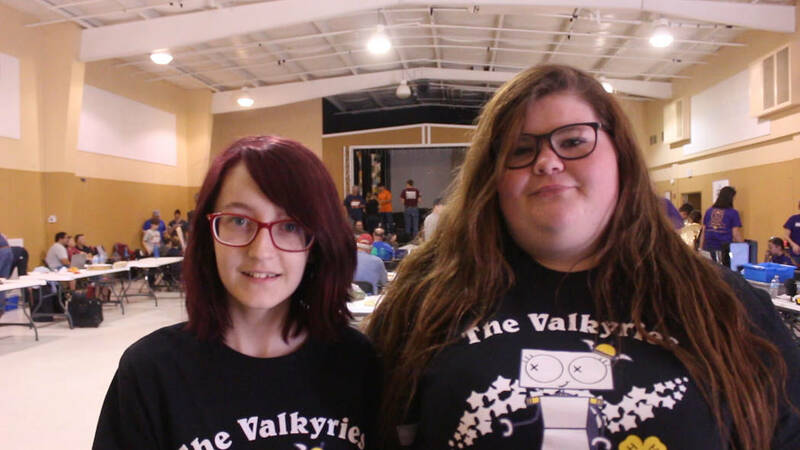 Ashley Hall, a leader at Pahrump 4-H and of the all-girls robotics team, the Valkyries, said the gala is going to support all Pahrump teams involved in robotics competitions under FIRST’s group of programs. The Pahrump area has some 14 teams that work at several levels involved in FIRST. The list of programs includes FIRST LEGO League Jr., FIRST LEGO League, FIRST Tech Challenge and FIRST Robotics Competition. Involvement in some of these programs depends upon the age of the participant. This year’s event expands on the first annual event that only supported 4-H’s FIRST Tech Challenge’s high school level team, Awkward Silence, and the 4-H FIRST LEGO League Jr. team. Hall is expecting 100 to 150 people at the event. No RSVP is required for those who wish to attend. In addition to light refreshments and snacks, there will also be a silent auction and raffle. Hall is hoping to raise a considerable amount more than the $2,000 that was raised in last year’s gala event, as they are now looking to support 14 teams instead of just two. Some local sponsors that have supported Pahrump’s teams in the past include “Frontsight, Java Junkies, Do It Best, Home Depot, Great Computer Deals, Mom’s Diner, The Pahrump Arts Council, and Your Woodshop,” Hall said. Other sponsors that have recently gotten involved include The Hubb, Nico’s Pizza, Romero’s and many others. The 2nd Annual FIRST (For Inspiration and Recognition of Science and Technology) Coalition Robotics Gala is planned for 5:30 p.m.-8:30 p.m. on Thursday (Jan. 17) at the Valley Electric Association’s conference center at 800 E. Highway 372. The event will display work by local, school-aged children in robotic, computer programming and other related items. The event is also a fundraiser to bring in monies for eneavors involving robotics programs and competitions that involve area youth. The event is being sponsored by Pahrump Southern Nye County 4-H.